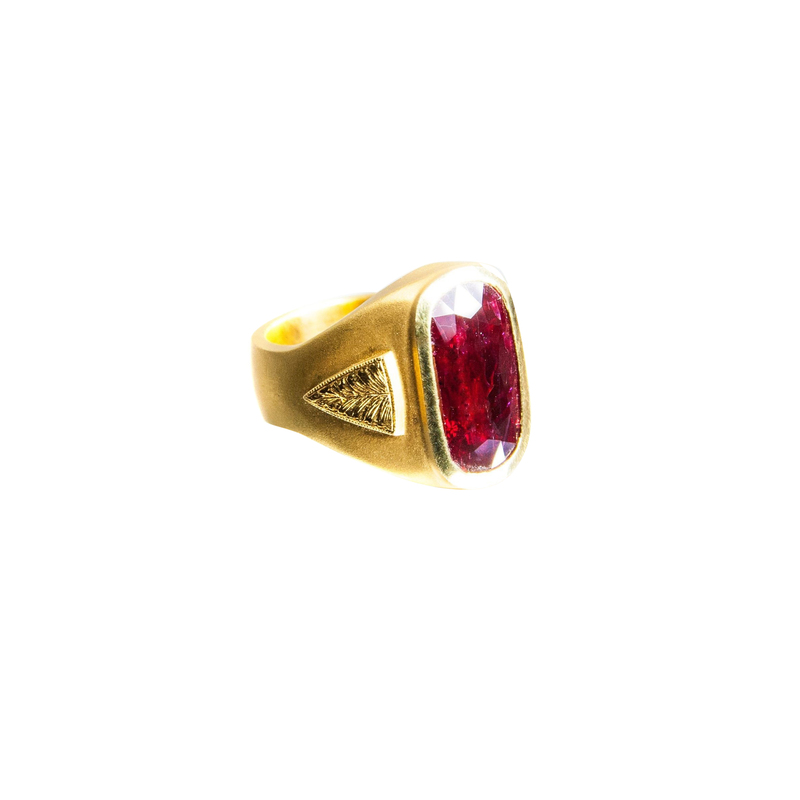 This new men’s ring features a very large unheated Ruby weighing 9.04 carats set in 18 Karat Gold. 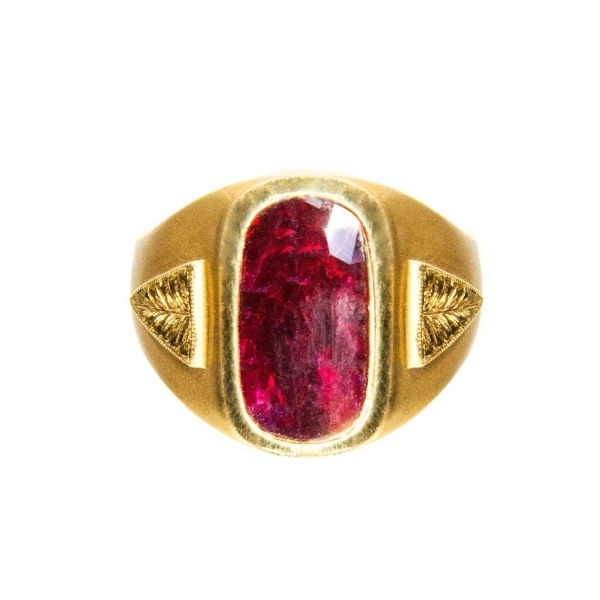 Please note this stone does have eye-visible inclusions and fractures, however these do not affect the stones stability and are more than offset by its spectacular color and size. 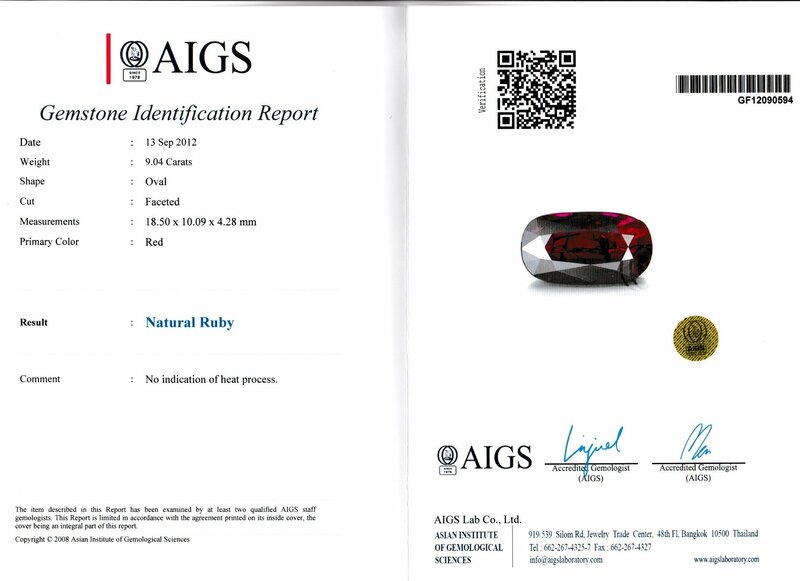 This item come with an AIGS certificate.